Okay as you can see this is a wild variety Friday post. I’m late posting my 10 Random facts post, then I’ll give you my review for your perusal, then to end this blog post a check list to see if your blog is user friendly. But to start with I got an award!!! The wise and witty Rance Denton gave me this lovely award. There are rules of course. I need to post seven facts about myself- I’m cheating aka using my time management skills- and my 10 random things will be used for this too. I also need to give the award to 15 other people. I’m not sure who these people will be. I’ve seen this award of other people’s blogs so I want to make sure I give it to new people. So I’m not giving it to anyone in this post. Okay I was supposed to do this on Monday- then I said I would do it Wednesday- but ranted instead, so here finally are Ten Random Facts about me. 1-	I am a minister with the Universal Church of Life as is my hubby. I preformed a wedding for a dear friend and my hubby married my mom and her second husband. 2-	I have a certificate in past life regression hypnotherapy. 3-	I have lived in 5 states- Georgia, Colorado, Alaska, California, and Arizona. 4-	I used to be a dula and certified in Bradley Natural Childbirth education. 5-	I hold my breath when a baby is born until it cries. 6-	I started my writing career in fanfiction- it is 83 chapters long and got over 2,000 reviews I’m very proud of it. 7-	I married a man who will be able to take care of me during a zombie apocalypse- yes I knew this before I married him 🙂 He also cooks and cleans. 8-	I almost burst into tears when Comic Con ended this year. 10-	I have done a vision quest- sitting in the woods for four days with no food, only eight ounces of water (we live in the desert I got a perk) by myself seeking enlightenment. I totally got something- no I won’t tell you what is was, but coming back and losing that focus was painful. The sixteenth foreign film I’ve chosen … drum roll …. The Host, a Korean horror movie about a mutated – well I don’t remember what it started out as- but it winds up being a nasty people eating monster. Kang-ho Song is the hero- and a very unlikely one at first, he’s a great actor and I will watch a film because he’s in it at this point. The director Joon-ho Bong is also someone I look for in my Korean movies. Anyway back to the film. There are some jump out of your seat moments, and many fingers crossed moments, and a kind of happy ending- but this is an Asian horror movie which means things don’t work out as you think they will. Not only is it an original look at the classic monster movie, but because it isn’t American I can’t anticipate exactly what’s going to happen. I’m not saying there isn’t a formula for Asian horror, but I haven’t caught on to it yet which makes the movies fun. Is your blog reader friendly? As I read through all of the flash fiction posts there were blogs I wanted to follow but found several things lacking- you might want to check your blogs for these items. 1- Tags I would look for tag lists to see what else the person posted and see if any of the topics interested me. Many blogs didn’t have a visible tag list. Can people see what topics you blog about easily? 2- I couldn’t figure out how to subscribe to the blog. I use wordpress this means if you use blogger I can’t hit the follow button and get updates on your blog. And while many of you had Google+ I don’t use it. Can people subscribe to your blog by email? 3- If I couldn’t figure out how to subscribe to your blog then I would look to see if I could follow you on twitter. Frequently I couldn’t find this either. Do you have a button so people can follow you on twitter? All of these are widgets which can be added to your blog. Did anyone else find things they were looking for but couldn’t find on blogs you’ve been visiting? Finding somebody who can take care of you when the zombies come is super important. It’s on my list of boyfriend requirements. As it should be- make sure it’s not just combat skills but survival skills. Interesting post! I’m so with you on the subscription options, only for me, I want an easy-to-find RSS feed link, since I use Google Reader for blogs. WordPress follow is useless to me, as I host my own WordPress blog. Your RSS button is nice and prominent up above! I have to admit I hadn’t really thought about a tag cloud for my blog. It didn’t occur to me that people used them like this, and I was afraid it would look cluttered, but now that I have a healthy amount of content, maybe not. It’s something very easy to add, so I will probably look into it! What a lot of interesting experiences you have had! No wonder you turned out to be a writer. Hi Alica! I think it’s cool that you have such a diversified life which I know colors your writing. You’re anything but boring, that’s for sure. I really liked this trailer and am going to “try” to get this movie. Blockbuster is all we have in Alameda and I don’t know how easy it’s going to be to find it, but I’ll try. Good luck finding the movie- Alameda is close enough to Sf and isn’t there a large Asian community not far from you? Sometimes some of the ethnic food stores also rent movies. If you like monster movies it’s a fun one. Thank you! I don’ think I’ve mentioned them before- I tried to come up with the oddest things I could. Alica – You have so many life experiences to draw from when creating your characters! 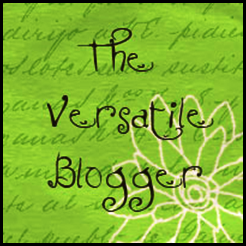 Thanks for the list about a reader-friendly blog. Big help! There are a couple of things I can’t answer about my blog – so need to check it out. Great post! Thank you! I think a lot of blogger just don’t think about it- I changed a few things on my blog before I posted the tips. I like wordpress a lot- and I do subscribe to a bunch of blog via email- but if I have to hunt you down then it’s unlikely I’ll follow you- I just don;t have the time to hunt down people’s blogs. I’m late on my blog visit…we are in the Paranormal (2) group on the Write Campaign. I have subscribed to your posts, your random facts are most interesting! Four Days? Wow, that takes some guts! Welcome! My husband was checking on me every day- I didn’t see him but he made sure I was alright. Oooh, now I’m curious! What’s past life regression therapy? I think I got an idea from the title, but I’m sure I’m a little off! A fantastic post, Alica! I love learning more about other people! Past Life Regression Therapy is when you guide someone into an altered state so they can access past life memories- it can be used to help release fears from other life times- such as if you died because you were poor and starved to death and now in this life time you are terrified of not having enough. Does that help?? I’m with you on making blogs user-friendly. In some cases I’ve found it difficult to leave a comment too! Yes- it’s so frustrating your trying to be a good social media person and you can’t! I loved these fun facts! I think it’s wonderful that both you and your husband are ordained ministers, and I adore that you almost cried when Comic Con ended this year. Attending is on my bucket list. Comic Con is awesome- but have a plan- take snacks and water and be prepared to get up early and sit in a lot of lines!! Maybe I’ll see you there there. Hi Alica. Another campaigner here. Interesting list. I think I’d go into a coma if I went 4 days without food. Starving to death would be the past life regression of my next life! As for trying to follow other people’s blogs, I didn’t have too much trouble finding the RSS feed, but a lot of people fail to include their other social media links, particularly Twitter. I just helped a friend set up their comments and subscription feeds- I think people simply don’t check the settings. Thanks for stopping by and commenting!